In 2009, the Supreme Court replaced the House of Lords Appellate Committee. It is the highest court in the UK. There are twelve judges who sit in the Supreme Court, which is now completely separate from the Government and Parliament. Not all cases can go to the Supreme Court. There must be an arguable point of law, and the case needs to have ‘public importance.’ What this means is that there is no right to appeal to the Supreme Court, as permission needs either to be sought from the court below, or from the Supreme Court itself if permission is refused at the court below. 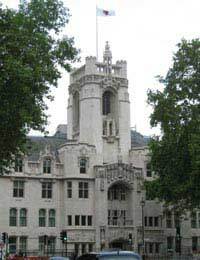 The Supreme Court hears civil cases from all over the United Kingdom, and criminal cases from England, Wales and Northern Ireland. It is the only court in the UK in which virtually all proceedings are filmed. In some cases, the proceedings are broadcast on television. In criminal proceedings, in order to go to the Supreme Court you must first seek permission from the Court of Appeal. This means that you must have had an appeal at the Court of Appeal in order to do this. The application can be made by either the prosecutor or the defendant. If you have already been to the Court of Appeal, the application is considered by the Court of Appeal and permission to go to the Supreme Court is either granted or refused. If it is refused, you can then renew the application at the Supreme Court in person. This hearing will determine whether you are entitled to have your case heard at the Supreme Court or not. It is also possible for the court to send a point of law of general public importance to the Supreme Court of its own volition. Only cases that have a point of law of general public importance can be heard at the Supreme Court. This means that your case has to be ‘exceptional’. In some cases, it is possible to ‘leapfrog’ other courts in order to take a case to the Supreme Court. Although there are certain exceptions to this, cases from the High Court or Divisional Court, or the High Court in Northern Ireland can send cases to the Supreme Court. In order to do this, a certificate from the High Court in question must first be obtained. This will only happen if the judge in the High Court determines that certain ‘relevant conditions’ are satisfied, that there is an arguable case that requires an application for permission to go to the Supreme Court, and that all parties consent to the case being heard by the Supreme Court. The Supreme Court must also give permission for the case to be heard. The ‘relevant conditions’ are that there is a point of ‘general public importance’ and that the question relates either to the interpretation of a statute or statutory instrument, or that the judge requires clarification on a point that has been fully considered by judgments in the Court of Appeal or the Supreme Court, and on whom the judgment would be binding. It appears, that it may not be entirely clear as to how one goes about applying for a point of law to be certified by the High Court (Divisional) Administrative Court, in relation to refusal to grant permission for judicial review, in a case that is classed as being of ' criminal cause' and therefore dealt with as a divisional court matter.